But not if you’re gluten free, dairy free, soy free- and so many other things, like me…But wait! 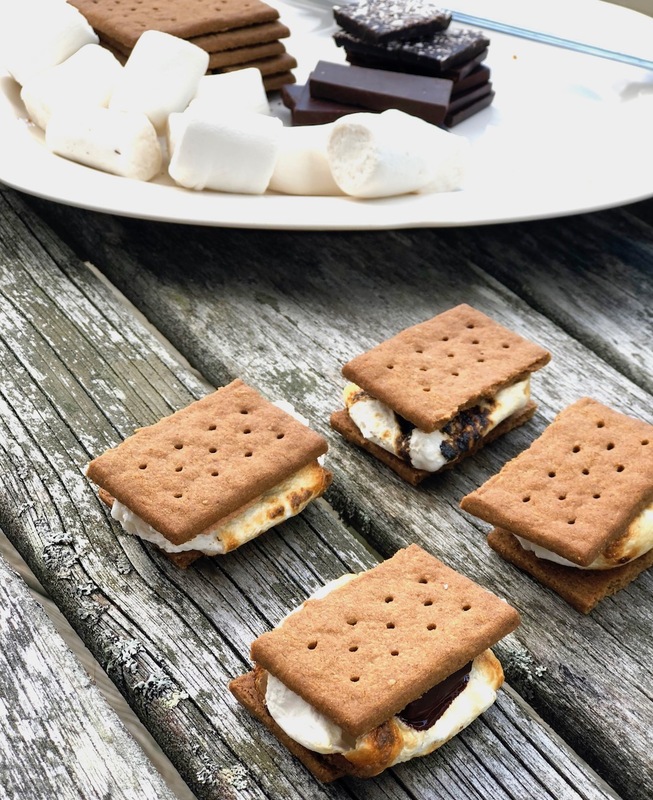 Some awesome companies are making the summertime s’more much easier to make with the creation of their cleaner-made products that when put together make up the wonderful s’more. This labor day weekend up at one of my favorite places on earth, I put together some BOMB s’mores and I want to share with you what I did and the products I used. Grab a stick and turn the burner on or find yourself a fire. Roast your marshmallow- OR you can put the s’more together and pop it in the microwave for 15-20 seconds and then enjoy). Put the s’more together with 1 graham cracker per s’more, and divide that chocolate bar into 4 (unless you like more chocolate in your s’more!). Want more easy recipes like this? Click here!